With the establishment of the Su Conference Room and the Su Distinguished Lecture Series, the University of Rochester joins the Su family in honoring Professor Su's long and distinguished career in Chemical Engineering and the spirit with which he pursued it. For more information see about the lectureship below. 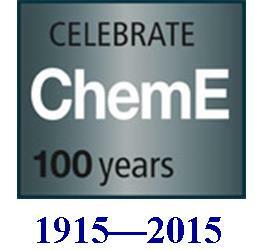 Sponsored by the University of Rochester Department of Chemical Engineering. Hybrid biological | inorganic (HBI) constructs have been created to use sunlight, air and water as the only starting materials to accomplish carbon and nitrogen fixation, thus enabling distributed and renewable fuels and crop production. The carbon and nitrogen fixation cycles begin with the artificial leaf, which was invented to accomplish the solar fuels process of natural photosynthesis – the splitting of water to hydrogen and oxygen using sunlight – under ambient conditions. To create the artificial leaf, an oxygen evolving complex of Photosystem II was mimicked, the most important property of which was the self-healing nature of the catalyst. Self-healing catalysts permit water splitting to be accomplished using any water source—which is the critical development for: (1) the artificial leaf, as it allows for the facile interfacing of water splitting catalysis to materials such as silicon and (2) the bionic leaf, as it allows for the facile interfacing of water splitting catalysis to bioorganisms. For the latter, using the tools of synthetic biology, a bio-engineered bacterium has been developed to convert carbon dioxide from air, along with the hydrogen produced from the catalysts of the artificial leaf, into biomass and liquid fuels, thus closing an entire artificial photosynthetic cycle. The HBI, called the bionic leaf, operates at unprecedented solar-to-biomass (10.7%) and solar-to-liquid fuels (6.2%) yields, greatly exceeding the 1% yield of natural photosynthesis.Extending this approach, a renewable and distributed synthesis of fertilizer at ambient conditions has been created by coupling solar-based water splitting to a nitrogen fixing bioorganism in a single reactor. Nitrogen is fixed to ammonia by using the hydrogen produced from water splitting to power a nitrogenase installed in the bioorganism. The ammonia produced by the nitrogenase can be diverted from biomass formation to extracellular production with the addition of an inhibitor. The nitrogen reduction reaction proceeds at high turnover per cell and operates without the need for a carbon feedstock (other than the CO2 provided from air). This nitrogen fixing HBI can be powered by distributed renewable electricity, enabling carbon negative and sustainable crop production. The science that will be presented will show that using only sunlight, air and water, a distributed system may be established to produce fuel (carbon neutral) and food (carbon negative). Such science is particularly useful to the poor of the world, where large infrastructures for fuel and food production are not tenable. 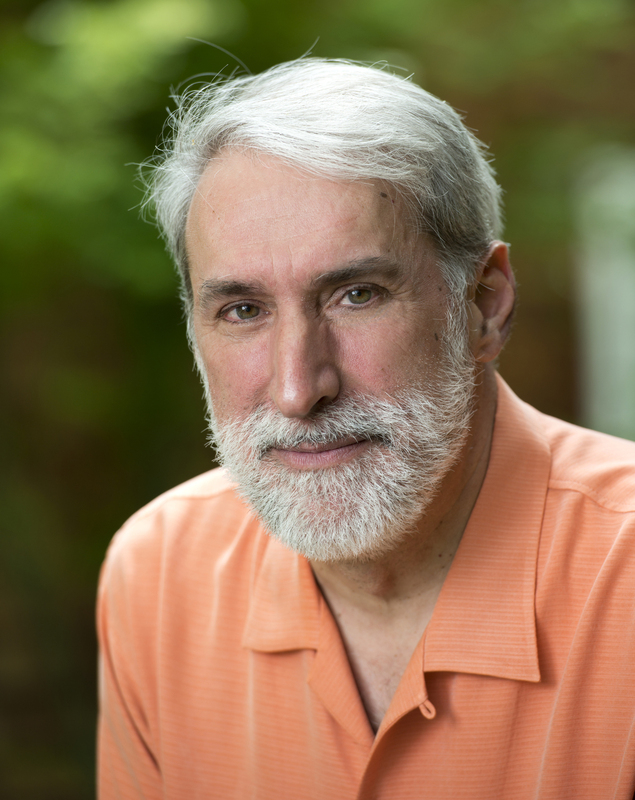 Daniel G. Nocera is widely recognized in the world as a leading researcher in renewable energy. He is the inventor of the artificial leaf and bionic leaf. Nocera has accomplished the solar fuels process of photosynthesis – the splitting of water to hydrogen and oxygen using light from neutral water, at atmospheric pressure and room temperature at efficiencies of greater than 10%. This discovery, called artificial leaf, was named by Time magazine as Innovation of the Year for 2011. He has since elaborated this invention to accomplish a complete artificial photosynthetic cycle. To do so, he created the bionic leaf, which is a bio-engineered bacterium that uses the hydrogen from that artificial leaf and carbon dioxide from air to make biomass and liquid fuels. The bionic leaf, which was named by the World Economic Forum as the Breakthrough Technology for 2017, performs an artificial photosynthesis that is ten times more efficient than natural photosynthesis. Before joining Harvard, Nocera was the Henry Dreyfus Professor of Energy at MIT. He has mentored 160 Ph.D. graduate and postdoctoral students, 71 of which have assumed academic positions, published over 450 papers, given over 1000 invited talks and 125 named lectureships. Nocera’s research contributions in renewable energy have been recognized by several awards, some of which include the Leigh Ann Conn Prize for Renewable Energy, Eni Prize, IAPS Award, Burghausen Prize, and the United Nation’s Science and Technology Award and from the American Chemical Society the Inorganic Chemistry, Harrison Howe. Kosolapoff and Remsen Awards. He is a member of the American Academy of Arts and Sciences, the U.S. National Academy of Sciences and the Indian Academy of Sciences. He was named as 100 Most Influential People in the World by Time Magazine and was 11th on the New Statesman’s list on the same topic, and he is a frequent guest on TV and radio and is regularly featured in print. 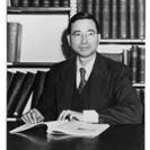 In honor of Professor Gouq-Jen Su (1908-1996). Professor Su lived a long and productive life, dedicated to the pursuit of ideas and ideals. He was born in 1908 in Fukien, a coastal province in the southern region of China. He attended a Northern Baptist missionary school as a teenager. In 1931, at the age of 23, Professor Su graduated from Tsing Hua University in Peking. In 1934, Gouq-Jen Su was one of the several college graduates selected, through a nation-wide examination, to further his studies at the graduate level, in the United States. That summer, he journeyed to MIT to continue his studies and, in three years, received his D.Sc. degree. During World War II, Dr. Su served for four years as chairman of the Chemical Engineering Department at Tsing Hua University. He helped design and operate an alcohol fermentation plant and a sugar refinery in Kunming. The alcohol produced was mixed with gasoline and was utilized as liquid fuel for U.S. Army motor vehicles traveling on the Burma Road, some forty years ahead of gasohol. Professor Su joined our faculty at the University of Rochester in 1947 and retired in 1974, though continuing as Emeritus for the remainder of his life. Over his active fifty-year career, Professor Su supervised 33 master's students and 15 doctoral students. Among his numerous publications, his outstanding papers on applied thermodynamics have been widely cited and are considered landmarks in the field. He proposed a modified form of the van der Waals Law of Corresponding States. Every thermodynamics textbook, to this day, contains his generalized equations of state for real gases.